Aiming for safety? You hit the Bull's eye! 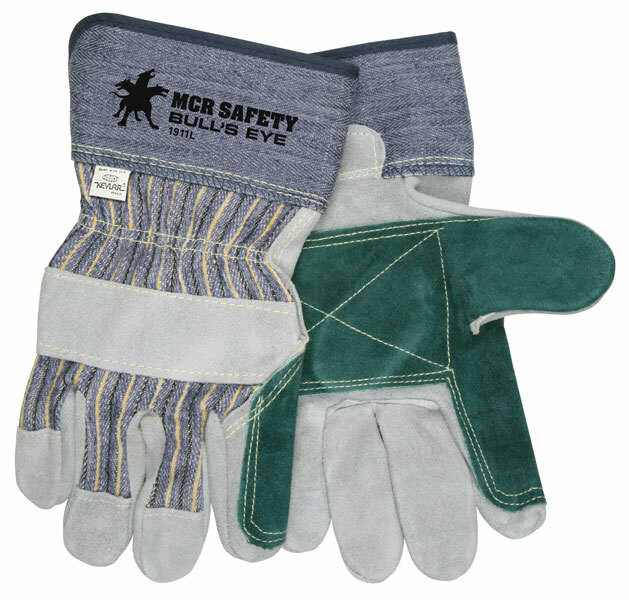 Sewn with super-strong, heat resistant DuPont Kevlar® thread, these gloves give you protection that is dead on. Premium split side leather double palm provides you excellent abrasion protection. Blue with black and yellow striped fabric.